An independent metering valve control hydraulic system (IMVCHS) adopts two independent valves to separately control the meter-in and meter-out orifices. This structure increases the degree of freedom of the control, and improves its flexibility and energy-saving performance. In this study, an IMVCHS was established that applies a control system developed to research the pressure and flow compound control performance. A two-level fuzzy control algorithm based on the calculated flow rate feedback from the spool displacement was proposed to realize high precision flow control, and the two-level fuzzy control algorithm based on the pressure feedback was also adopted to enhance the pressure performance under a dynamic load. 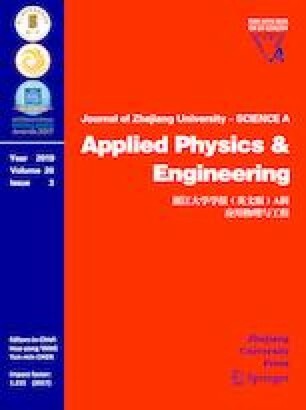 A simulation model was established, and its key parameters identified experimentally using the simulated load of a hydraulic bridge circuit. The experimental results show that the proposed flow controller has higher control accuracy with an error of less than 2%, and the flow adjustment time for 40 L/min step control is 320 ms. The pressure controller with a two-level closed-loop fuzzy algorithm can significantly improve these pressure dynamic and static performances, and achieve a step response time of less than 180 ms. Combining the pressure and flow controllers, the pressure and flow compound control of the IMVCHS is realized, and the capacity for coping with load fluctuations is also identified, with compound adjustment times of generally less than 200 ms, and occasionally less than 100 ms. This control system therefore achieves a good performance for pressure and flow compound control, and is able to widen the application of independent metering control technology.